Michael R. Chávez – At The Half Century Mark insights on life at 50, spiritual, personal, entrepreneurial, financial renewal. Stories, testimonials and laughs about starting over at the half century mark. The Home Business Survival Guide – This is the number one goto tool used to build my business. This “Free” guide is my number one resource used to learn the practical skills necessary to grow from the ground up. If you’re looking for the “one up recruiting tool”, this is it. Get this guide and get started today! Click here to learn more. The Ultimate Branding Blueprint – If you like the look and feel of this web page, you will love this resource. 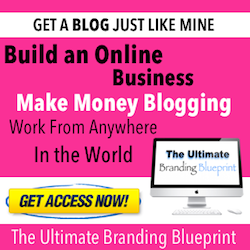 This is a step by step guide to creating your own blog as a money making tool. You will soon learn that you don’t need a expensive web designer or a graphics team to create. You can learn how to build a blog yourself and start building your enterprise today! Click here to learn more.